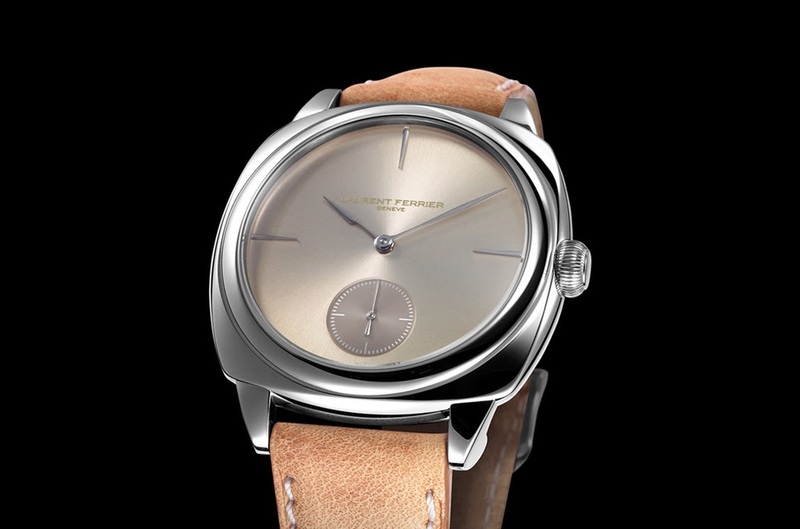 The Geneva watchmaker Laurent Ferrier was very successful in creating a distinctive design for his creations with pebble-inspired round cases and hours and minutes hands reminding of the Assegai spear, a weapon used by the Zulu. 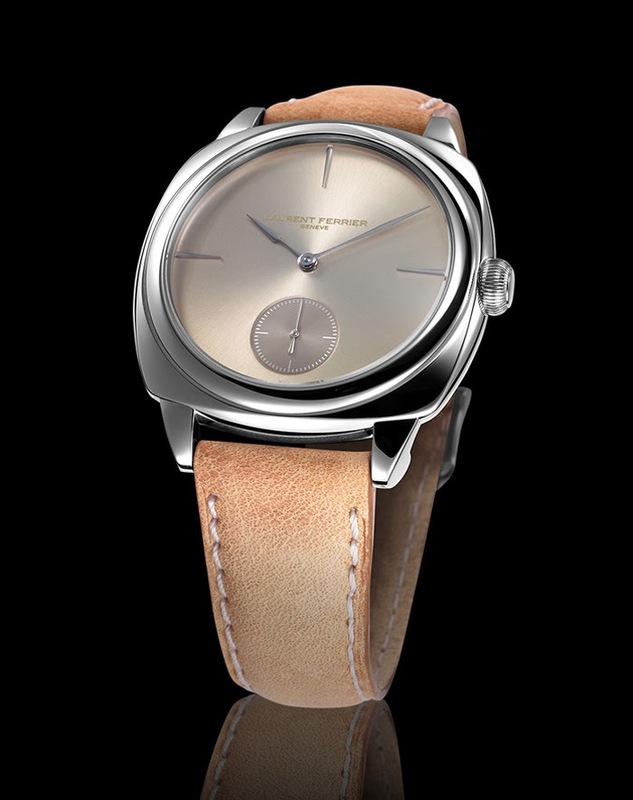 At Baselworld 2015 Laurent Ferrier will introduce a new model with a cushion-shaped case, the Galet Square, which maintains soft lines with all edges smoothed out. The sapphire crystal and the lugs beautifully meet the case in full continuity. The new case has a size of 41 mm x 41 mm x 11.1 mm and, for the first time, is available also in stainless steel and not just in precious metals. The stainless steel version will be available with two dial variations: sunburst gold-toned or dark blue with a vertical satin-brushed finish. The dial is purely minimalist with small seconds at 6 o'clock and just three drop-shaped hour markers (at 12, 3 and 9 o'clock) for the gold-toned version and eleven for the dark blue one. The movement of choice is the self-winding FBN 229.01 movement, featuring a 72-hour power reserve and a micro-rotor. 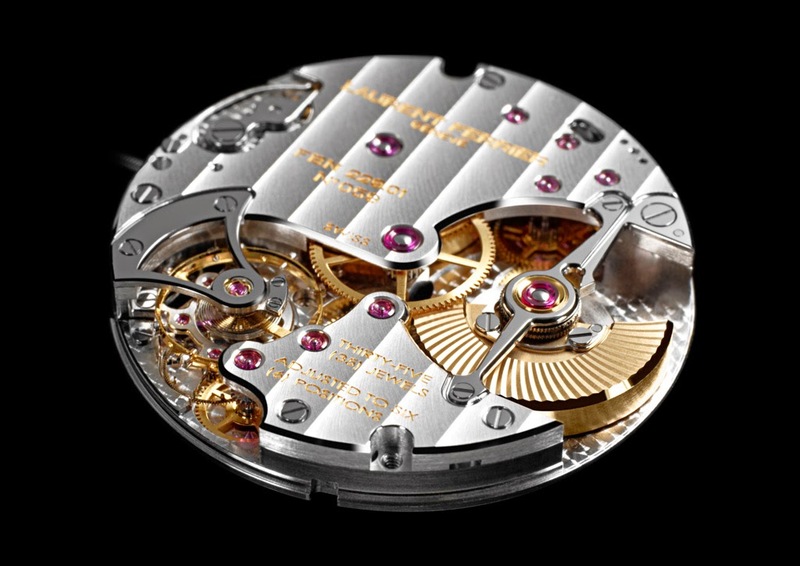 This movement is also used for the Galet Micro-Rotor. The finishing of the movement is superlative, in line with the highest Haute Horlogerie standards. 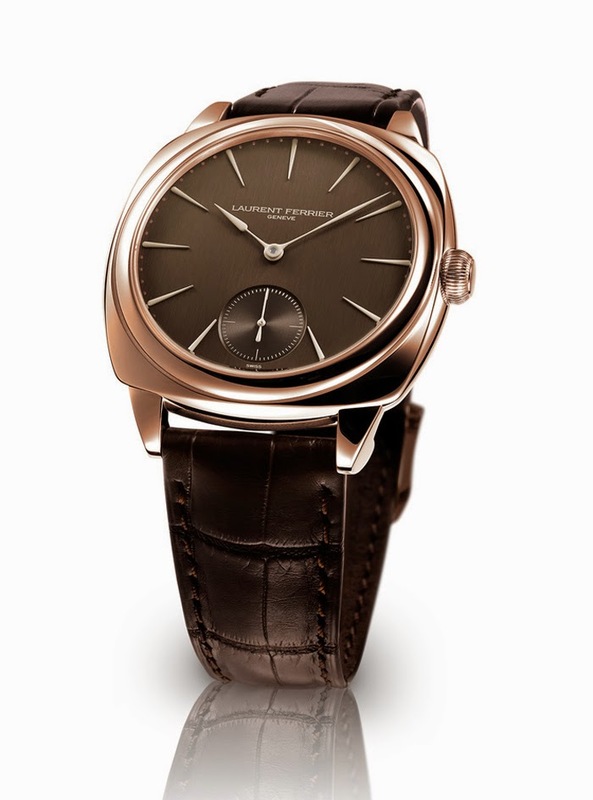 The Laurent Ferrier Galet Square will also be available in rose gold with a chocolate dial. A beauty! Impressive caliber. But $38,000 for a steel watch! 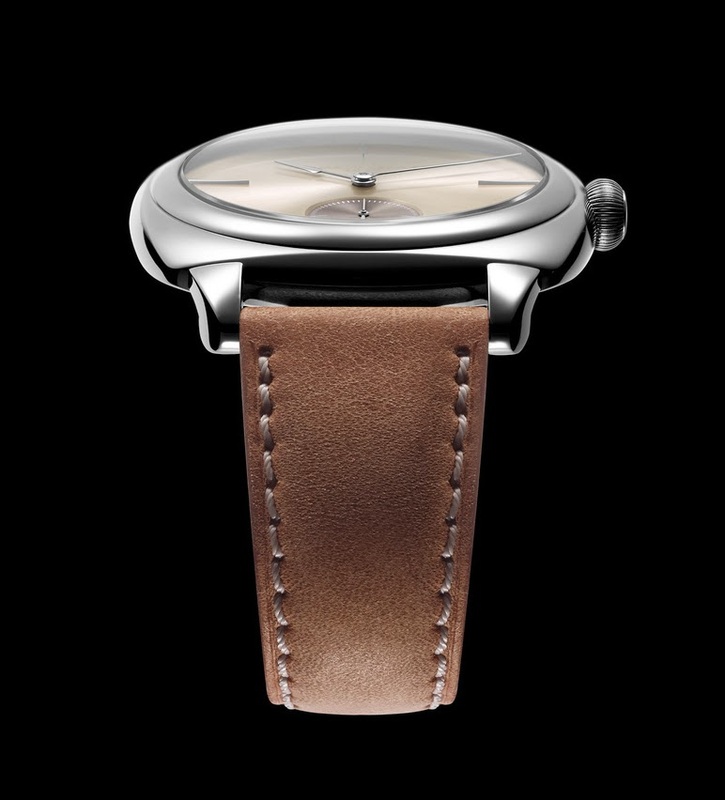 Basel 2015: Laurent Ferrier Galet Square. 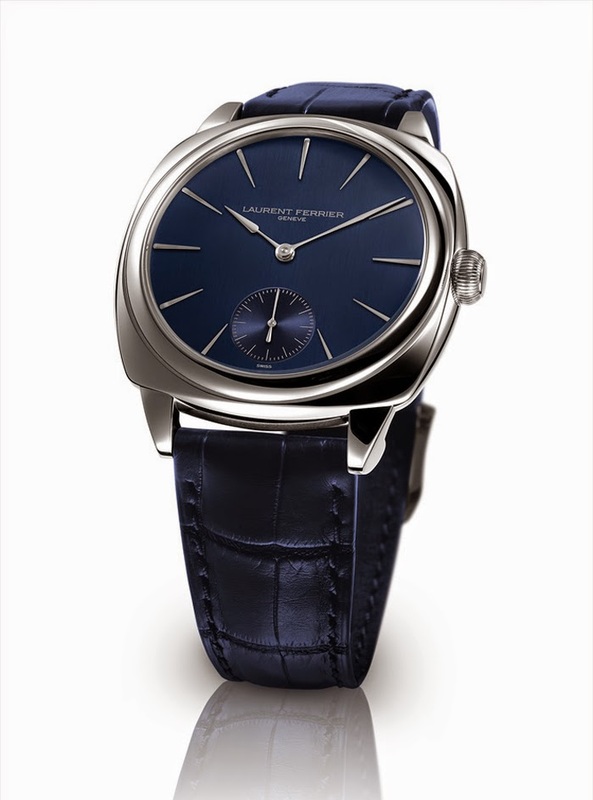 At Baselworld 2015, Laurent Ferrier is now introducing a new model with a brand-new cushion-shaped case, the Galet Square, which maintains soft lines with all edges smoothed out. The sapphire crystal and the lugs beautifully meet the case in full continuity. 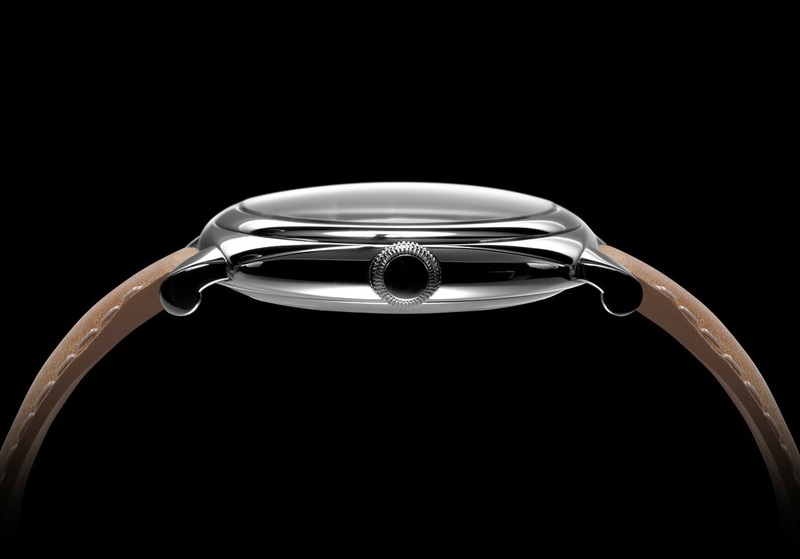 Prices: US$ 38,000 for the Galet Square in steel and US$ 53,000 for the rose-gold model.